Lock in a great price for Alti Santorini Suites - rated 9.5 by recent guests. 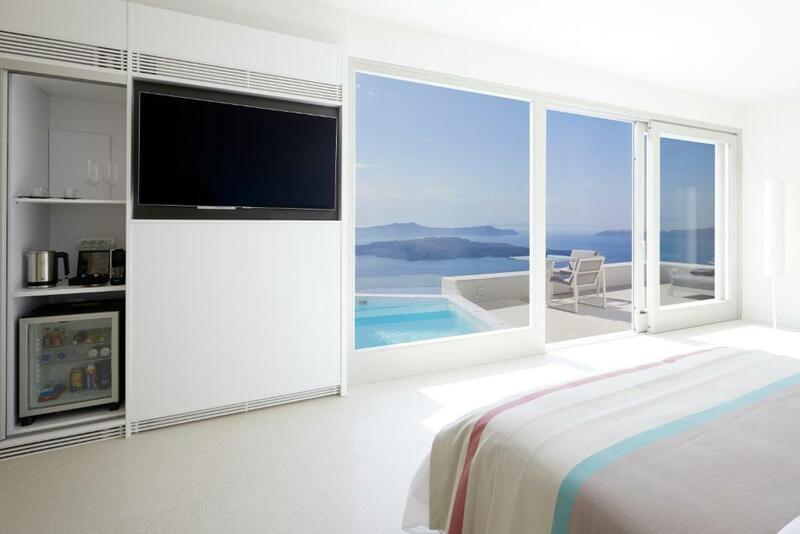 One of our top picks in Megalokhori.Enjoying panoramic views over the Caldera and the Aegean Sea, Alti Santorini Suites offers minimal-style suites with outdoor and individual, heated plunge pools with hydromassage facilities. Built according to the local architecture, all units come with free WiFi. All suites have their own terrace and sunbeds with access to the plunge pool. Each includes a satellite, smart TV and a minibar. Guests can start their day enjoying the full Mediterranean breakfast served in their own patio. Restaurants and bars are 0.6 miles away, while a grocery store is just 200 yards from Alti Suites. Island’s main port is at a distance of approximately 2.5 miles. Perivolos Beach is within 3.7 miles. The owners can help with ticket services, as well as car and bike rentals. Free parking is available nearby. This property also has one of the best-rated locations in Megalokhori! Guests are happier about it compared to other properties in the area. This property is also rated for the best value in Megalokhori! Guests are getting more for their money when compared to other properties in this city. Alti Santorini Suites has been welcoming Booking.com guests since 4 Apr 2014. 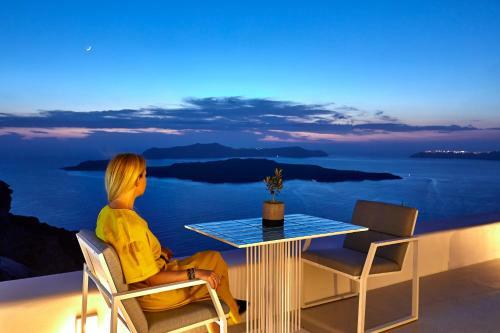 House rules Alti Santorini Suites takes special requests - add in the next step! A damage deposit of EUR500 is required upon arrival, which is about GBP432.13. This deposit is fully refundable 7 days after check-out as long as there has been no damage to the property. A damage deposit of EUR 500 is required on arrival. That's about 432.13GBP. This will be collected by credit card. You should be reimbursed within 7 days of check-out. Your deposit will be refunded in full via credit card, subject to an inspection of the property.